Through Balancing Act, users can track their individual tax dollars and recommend capital and operating budgets to the city of Pittsburgh. 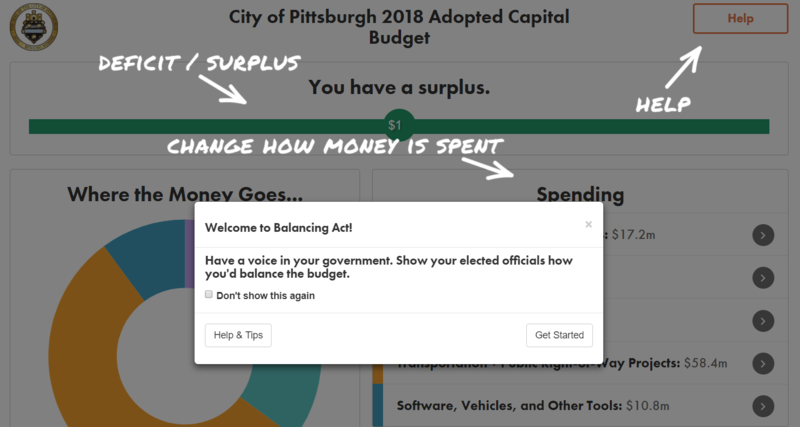 A new app lets Pittsburgh residents share their views on the city’s budget. Called “Balancing Act,” the program shows users where in the budget their individual tax dollars go and allows them to make their own spending recommendations. David Hutchinson with the city’s Office of Management and Budget said it’s meant to be user-friendly and bring more transparency to the budgeting process. Until now, the city has held two public meetings every June to gather input on proposed budgets, as required by law. But Hutchinson said it was hard to get people to attend, even when the meetings were conveniently located and provided food. The city aims to gather responses from about 3,000 residents over the next three months and will collect demographic data to assess how representative users are of the city’s population at large. “We can see what populations we’re reaching and where we may need to do additional outreach moving forward,” said Molly Onufer, liaison with the city’s Office of Community Affairs. Onufer said the new app is part of a broader effort by the Peduto administration to encourage transparency and public input in Pittsburgh city government. Dave Hutchinson also serves as a volunteer on-air host on WYEP, our sister station. 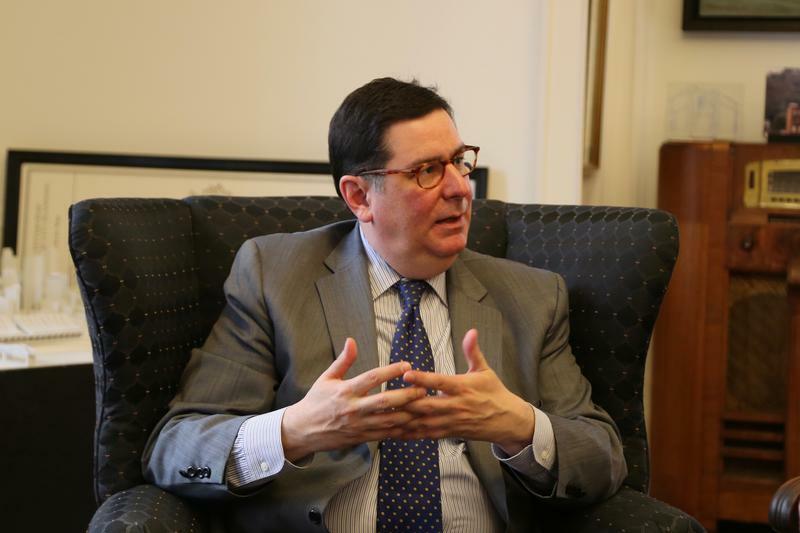 Pittsburgh Mayor Bill Peduto spoke with 90.5 WESA's Kevin Gavin about whether ICA oversight was needed while the city has been in financially distressed status. 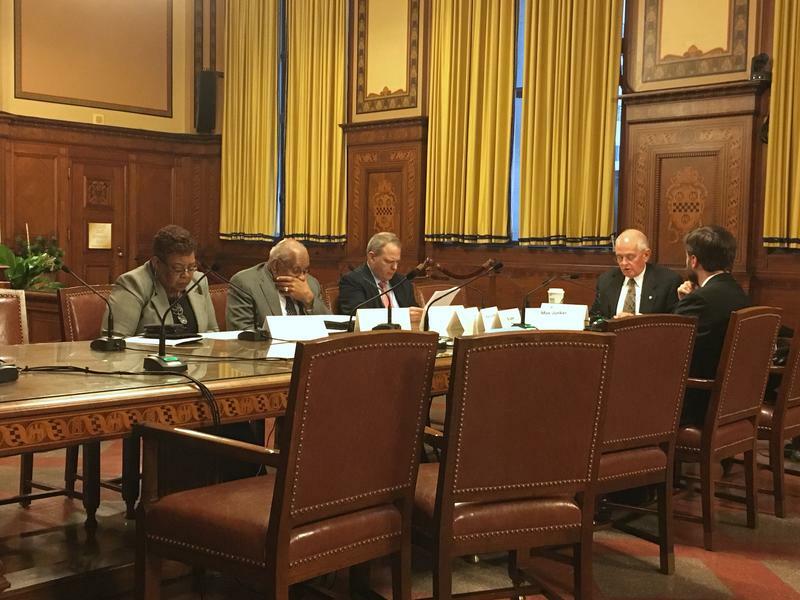 Fourteen years after entering Act 47, the city of Pittsburgh appears to be very close to exiting the program, which places financially distressed municipalities under state oversight. Gov. Wolf tells 90.5 WESA's Kevin Gavin that the budget process the last three years has been "a bit contentious" but he expects a smoother process this time. Democratic Gov. 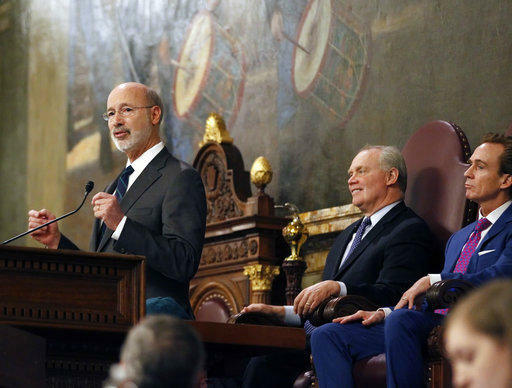 Tom Wolf's election-year budget plan unveiled Tuesday will renew battles with the Republican-controlled Legislature over imposing a tax on Marcellus Shale natural gas and increasing the minimum wage.